Micro-sclerotherapy describes the technique used to treat thread veins, also known as “spider veins”. These are commonly found on the legs. The treatment involves injecting a small amount of a sclerosing solution into the veins with a tiny needle. You can expect up to a 70% improvement in the cosmetic appearance in most cases. Several treatments may be required as well a yearly “top-up”. You will be aware of a tiny sting in the area, which might feel a bit itchy afterwards, but the discomfort is minimal. The area might appear a bit red and swollen afterward, but recovery is quick. 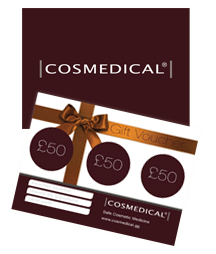 Our cosmetic doctor will advise on whether you are suitable for treatment and the likely duration of treatment. Other options such as laser treatments may be suggested. Only our fully trained cosmetic doctor undertakes this treatment. Micro-sclerotherapy has been performed for many years, and when undertaken by a trained doctor it has an excellent safety profile.